Crispy, golden baked potato cups accented with Parmesan cheese, a zing of black pepper, and green onions. Ah, the wonderful potato. If I had any literary sense, I'd write an ode to this magnificent tuber. I always find it a delight - baked, boiled, roasted, or fried. 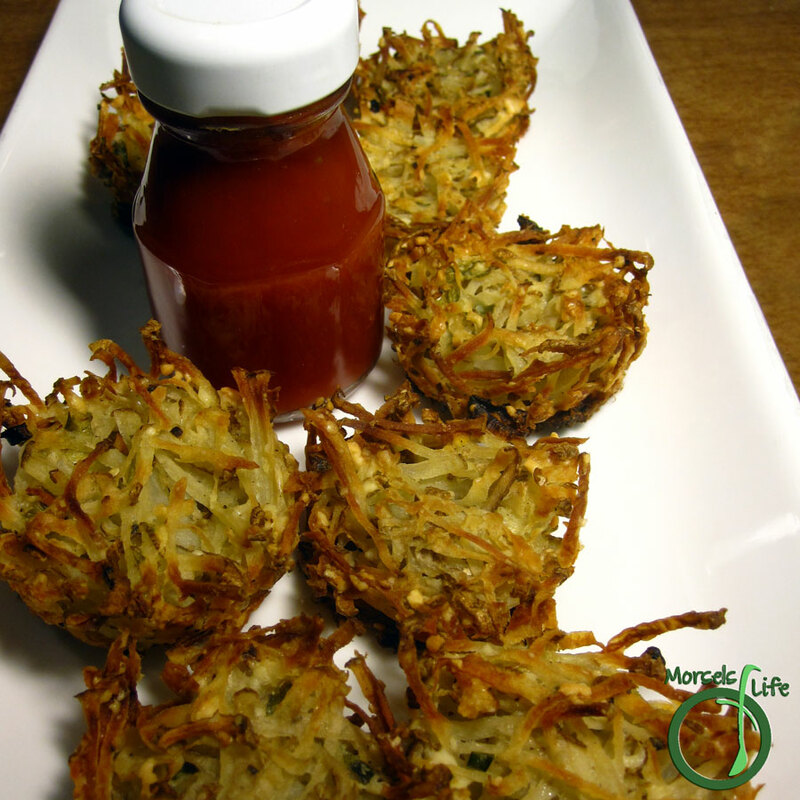 Hash browns are no different, and while I enjoy a good heaping pile of hash browns, I thought adding a few extra ingredients and baking would be a fun way to "class it up." (Plus, I found this recipe on The Yummy Life.) Instead of letting them go the path alone, I figured adding green onions and pepper would bring something extra to the party. Toss in the potato's ever-stalwart companion, cheese, and the party seemed complete. Instead of tossing them in a frying pan with generous amounts of oil, I baked them. We enjoyed the soft, baked centers and crispy edges. Serve 'em up as appetizers or sides or simply enjoy them all by yourself! These little cups are fun by themselves, but feel free to accompany them with ketchup or whatever condiment you please! What are some of your favorite has brown add ins? Fill greased (mini) muffin tin with mixture. Press mixture down evenly. Don't worry if there's a random piece or two sticking out - those will be extra crunchy! Bake at 350F until cooked. Flip muffin tin over or use a fork to remove the hash brown cups. How we love spuds! We'll have to try these for our St. Patrick's Potato Party. I love using my muffin cups for things other than muffins! These look great. Thanks for sharing at Must Try Monday. I hope you'll stop over and sign up for the blog swap that's going to take place on My FAvorite Finds.